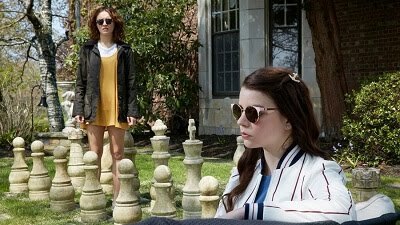 Caroline and Jackie (recommended): This entry from last year’s Tribeca Film Festival is finally out, and the hypnotic film features memorable performances from Marguerite Moreau and especially Bitsie Tulloch as sisters whose competitive spirit makes for one never-ending night filmed with twists and turns. Now playing at the Quad Cinema. Read my review from Tribeca. Dead Man’s Burden (mixed bag): Anyone who loves a good Western might enjoy this film, while those who aren’t fans of the genre likely won’t. A small cast and even smaller universe makes for a rather dull and unengaging story, without much creativity or appeal. Hardly essential viewing. Read my review from Thursday. 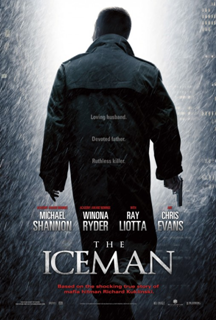 The Iceman (highly recommended): Michael Shannon delivers a tremendous, formidable performance as a real-life hitman who kept his day job from his wife and children. Shannon is electric, but the film is equally rich and captivating, making for one powerhouse cinematic experience. It’s violent but well worth it. Now playing at the Landmark Sunshine and AMC Lincoln Square. Read my review from yesterday. Love Is All You Need (recommended): I was very excited to see Danish director Susanne Bier’s follow-up to the Oscar-winning “In a Better World,” and though this half-English drama is much less devastating and serious than her last work, it has its moments and features a compelling cast of characters and actors. Now playing at the Landmark Sunshine and Lincoln Plaza. Read my review from Wednesday. This week's biggest movie is of course Iron Man 3, which I'm planning to see tomorrow morning. Review will be up on Monday! 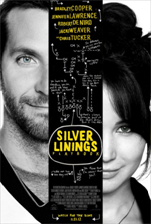 Silver Linings Playbook (recommended): Jennifer Lawrence took home a well-deserved Best Actress Oscar for her standout performance in this quirky and endearing comedic drama, which also features Bradley Cooper and Robert DeNiro in high-quality turns. Its story is creative and unexpected, and it’s a fun, often stirring ride. Beowulf (anti-recommended): This 2007 computer-animated film is a remarkably extravagant and poor adaptation of the classic story, memorable for showcasing a motion-captured Angelina Jolie almost completely naked. Aside from the one awesome moment in which Beowulf delivers a tirade of synonyms and boasts before concluding, “I. Am. Beowulf!” there’s little to like about this obnoxious and forgettable blockbuster. 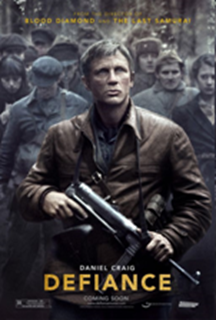 Defiance (recommended): This powerful 2008 drama earned just one Oscar nomination – for its original score – but there is much to praise about the true story of the Bielski brothers, played by Daniel Craig, Liev Schreiber, and Jamie Bell, who saved the lives of a thousand Jews during the Holocaust by hiding in the woods. It’s a strong and sentimental film that ranks as one of the better recent Holocaust movies. Mission: Impossible II (mixed bag): The 1996 remake and the third installment, from 2005, were both previously available on Netflix, and now the 2000 sequel is too. It’s one of my earliest clear cinematic memories, watching and being mesmerized by the amount of action while equally concerned about the plot holes, particularly to do with people wearing face masks. It’s a thrill ride, but not a fully competent one. Pulp Fiction (recommended): Any film buff has heard of Quentin Tarantino’s second film, which won him an Oscar for Best Original Screenplay and officially brought him to the big leagues. His earlier films are violent in a subtler way and less obvious about their cleverness, and this one boasts a particular stellar performance from Samuel L. Jackson as a hitman you really don’t want set on killing you. It is notable in many ways, and best seen rather than described.